For all deck and fence restoration and painting in Canberra, rely on Watson Painting and you will receive the highest level of quality service at the most affordable prices in the city. Our team of experts perform every job with meticulous attention to detail and absolute precision. At Watson Painting, we provide complete repair of decks and fences in Canberra. The damage can be caused by water and rotting, wind or simply ageing. Regardless of the type of damage, we will replace old parts with brand new ones in the most professional and timely manner, securing the structure and extending the life of your decks and fences. And if you need complete replacement, we have the knowledge and expertise to entirely remove the old ones and install brand new decks and fences for you. Do your decks and fences look old and dirty but not yet that damaged for replacement? We provide fast, efficient quality painting which will allow you to enjoy your decks and fences for many more years to come. Paint products that we use are of the highest quality, durable and water, wind and moisture resistant. 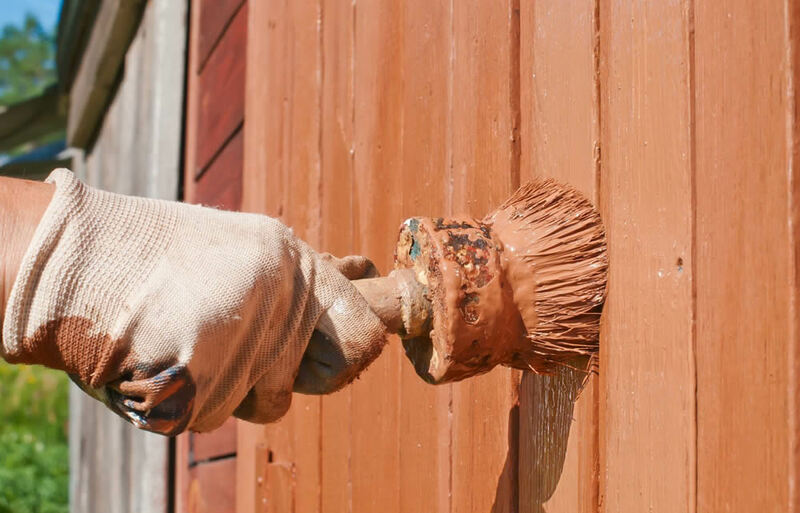 A fresh paint will rejuvenate your decks and fences and instantly add to their beauty. If you are looking for deck and fence restoration and painting services in Canberra, get in touch Watson Painting. You will be surprised by the quality of our workmanship and our culture of customer service excellence. The team of experts at Watson Painting is looking forward to your call!